What is the Raffle For? 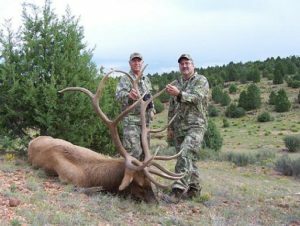 Operating costs are covered entirely by sales of the Optics Raffle and New Mexico Elk Hunt tickets as well as contributions from the sponsoring organizations. The management of the raffle is overseen by a volunteer board of directors. Why are these tags so special? There are very few limitations on hunting areas and the prices for each ticket have been set to give every hunter in the world an opportunity to win a true hunt of a lifetime. Prices range from $5-25 each. 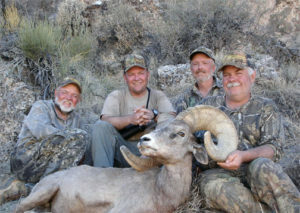 Arizona offers some of the best trophy opportunities in North America for each of these species. A quick review of the both the B&C and P&Y record book will confirm this. (Click for B&Cand P&Y websites). If you are after a truly huge mule deer, elk, antelope, Coues deer, desert bighorn sheep, or buffalo, then Arizona is where you need to be. The only huntable population of Gould’s turkeys in the United States exists in Southern Arizona and can be hunted with this tag. The public drawing will take place July 25, 2019 at Arizona Game and Fish Department headquarters in the Quail Room, 5000 W. Carefree Highway, Phoenix. Winners do not need to be present. The event will be webcast. Drawings for the Buy Early, Buy Often, Win Big online purchase incentive prizes will be conducted electronically on or before the 5th of the month and announced on this website.